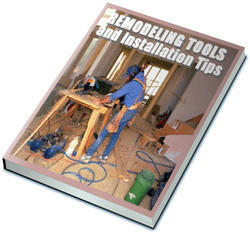 If you make the box the same height as your workbench, it's easy to support a piece of plywood for cutting. Because of its width, the toolbox gives generous support to the cutoff piece. Drawers have touch-latches so there are no protruding handles. 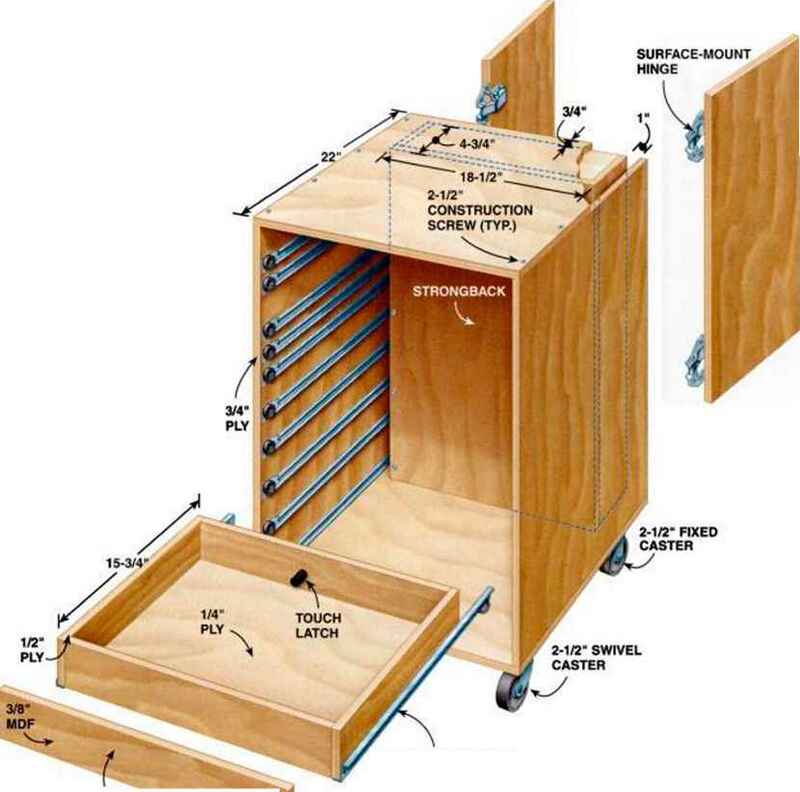 There is a tradition among woodworkers of making extremely fine tool cabinets, as a way for the traveling journeyman woodworker to display his or her abilities. There's nothing wrong with following that tradition. But it's not what 1 was after in this design. This toolbox is in no way a showcase. It's a tough, utilitarian piece of shop furniture featuring exposed screw heads and naked plywood edges. The big advantage to this design is that it doesn't take a lot of time or money to make. Of course you could edge-band the plywood, use biscuit joints instead of screws, and paint the plywood, but there's no functional reason for any of that. You're the only one who knows what tools you have, so you have to design your own drawer layout. If you take a little time to do it, you'll be able to fit an incredible number of tools into the box, and you'll have them grouped to suit your needs. Quick access is important, and workshop space is precious, so think about what tools you use together, which ones you use all the time, and which rarely see daylight. 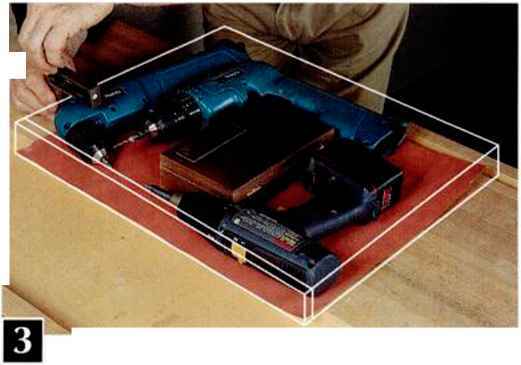 Make a drawer template out of plywood or cardboard, so you can lay out each group of tools (Photo 3). I like to keep my measuring tools handy, so I put them in the top drawer, with gauges and layout tools in the next drawer down. Some things aren't compatible in the same drawer—chisels with files, for example. 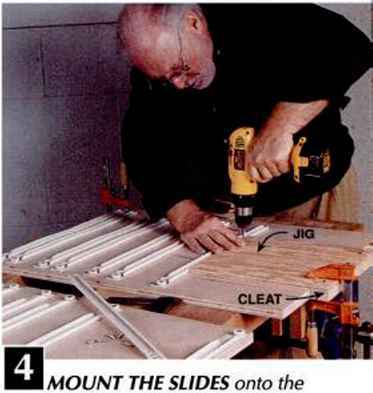 Spade bits and drill bits can lie down in a shallow drawer, but router bits should stand up in holes drilled into a block, so they can't knock together. Group like tools together in shallow trays, with dividers to maintain order. TIP: You'll maximize useful space by running dividers from front to back instead of from side to side. Once you've planned your layout, it's easy to dimension the drawer parts. To find the distance from one drawer bottom to the next, measure the height of the contents and add 1/2 in. for the bottom itself plus a little clearance. The drawer sides and ends can be as wide as the depth of the contents, and they can be a lot narrower, too—routers and other big tools sit very well on shallow trays. The top drawer should have sides that are about 1/2-in. narrower than the drawer opening, so the drawer can be tipped up for installation. DESIGN THE DRAWERS to hold your tools. /\ piece of cardboard the same size as the drawer bottom helps. 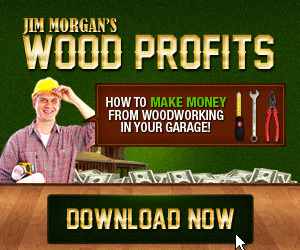 Woodwork Projects, How to Become a Woodworker, Can you be a full time professional Woodworker?